One of the major debates currently in the literature about trust and management relies on the perspective of trust-building in organizations. In this chapter we draw on graph-based structures in order to investigate the role of individuals’ social networks as tools for enhancing potential trust-building processes at interpersonal level. The chapter relies on two main aspects. First, we propose a theoretical approach establishing a linkage between agents’ social networks and trust-building processes among unknown agents. Second, we carry out an experimental investigation focused on a laboratory experiment developed with students of Management and Economics bachelor degrees. Furthermore, we outline some implications for managers. Trust has become a major concept in social sciences, such as psychology (Johnson-George & Swap, 1982; Rotter, 1967; 1980), philosophy (Baier, 1986), sociology (Barber, 1983; Luhmann, 1979; Shapiro, 1987), economics (Arrow, 1974; Williamson, 1975), and organization theory (Zand, 1972; Zucker, 1986). Moreover, trust is increasingly demanded within organizations (Handy, 1995; Kramer & Tyler, 1996), between organizations (Moorman, Zaltman, & Deshpande, 1992), and in international affairs (Michalos, 1990). Several definitions of trust have been proposed in the literature about management (Bhattacharya, Devinney & Pillutla, 1998; Mayer, Davis & Schoorman, 1995; Rousseau, Sitkin, Burt & Camerer, 1998). Specifically, in this chapter we adopt the definition presented by Rousseau et al. (1998), according to which trust can be defined as a psychological state comprising the intention to accept vulnerability based on positive expectations of the intentions or behavior of another. Every trust interaction is made up of two agents: the trusting agent, called the trustor, and the trusted agent, the trustee. Trust: In this chapter we adopt the definition proposed by Rousseau et al. (1998) according to which trust can be defined as a psychological state comprising the intention to accept vulnerability based on positive expectations of the intentions or behavior of another. Trust-Building Process: Process in which an individual has the opportunity to extend his or her personal trusting network by adding new trusted people. Trustor: The person who decides whether to trust the trustee or not. Trustee: The person to be trusted. Social Network Structure: It indicates the way in which an individual’s social network components are placed, e.g., the connections or overlaps between them. Social Network: A person’s set of links with other individuals. Dyad: A pair made up of a trustor and a trustee. 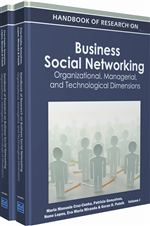 Social Network Dimension: It reflects the number of components of an individual’s social network. Trust Game: A widely-accepted type of experimental design for measuring interpersonal trust. Graph-Based Structure: Set made up of vertexes or nodes and edges.